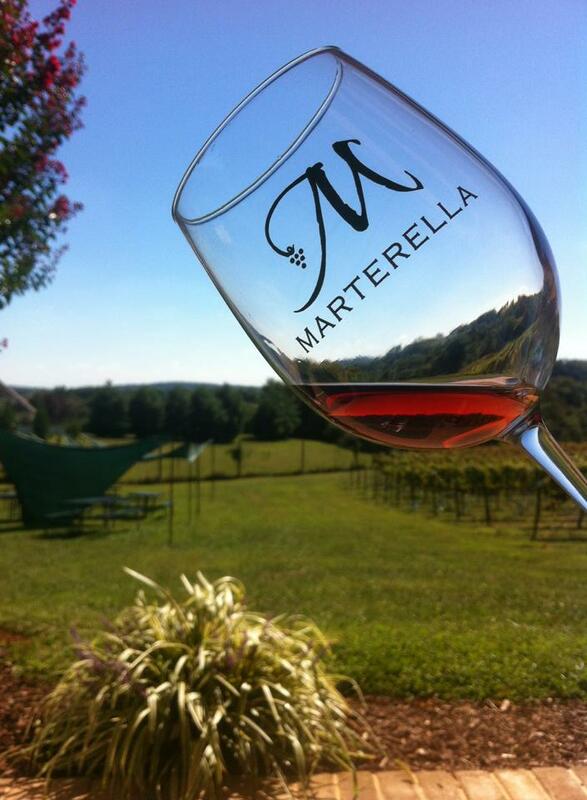 WineFan at Marterella Winery | FTLapps, Inc.
We’ve all heard the old adage, “Wine only gets better with age,” and for the most part it is true for most wines. But, for many wineries and vineyards in Virginia, the demand for their wine is so high and their production quantities low enough that it is difficult for them to age their wines the way they might wish. However, there are exceptions. 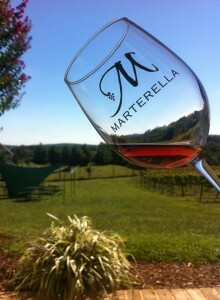 Marterella Winery, just outside of Warrenton, Virginia is one of those places. During our visit, every wine we enjoyed was no younger than 2010. 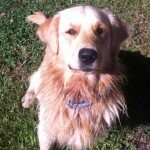 The property is very dog friendly. 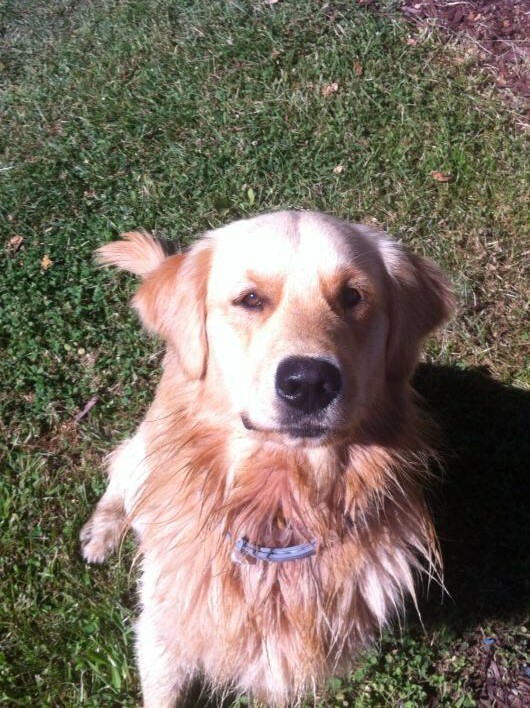 Upon arriving, the welcoming party included a Golden Retriever and Yorkshire Terrier who lead guests straight to the tasting room. The tasting room itself is a wonderful setup: a covered porch outside, with bistro tables and lounge chairs to let you kick your feet up. There is even a brick oven outside where they will prepare pizzas for you on the weekends. The porch is a great place to enjoy your wine, as it allows you to enjoy the view over the vines to the spectacular tree-lined backdrop. The wines themselves are well crafted and well balanced. The 2008 Meritage is a great wine with dark fruit flavors, plum, smooth tannins, and tobacco and cedar flavors make this wine great to pair with a cigar. Although the all-star of the day was the 2010 Cabernet Franc Rose. The wine is scheduled to be released Columbus Day weekend, but we were fortunate to be among the first outside the winery to taste it. It did not disappoint. With great red berry flavors, such as raspberry, on the front, the Cabernet Franc shows its common characteristic of peppery flavors with a little more pepper on the back end. Finally, for the white wine drinkers, the 2008 Barrel Select Chardonnay has great balance of butter and oak — a perfect complement to lobster dishes! Apple and lime flavors. Stainless steel fermented. Coconut on the nose. Tropical flavors. Good porch wine. Hints of butter and vanilla. Half stainless, half French oak. Prominent butter and vanilla notes. Great pairing with lobster. Lighter Merlot with a velvety texture. Blackberry flavors. Dark fruit flavors up front. Pepper on the back end. Blend of Cab Sauv, Cab Franc, Merlot, and Petit Verdot. Dark fruit such as plum. Smokey flavors make this a great cigar wine. Washington state grapes. Leather, tobacco and subtle dark fruit with a touch of spice. Melon and pineapple notes. Residual sugar make this a great pairing with spicy Thai food. 4.3% residual sugar. Chambourcin grapes. Perfect dessert wine to go with dark chocolate. Hints of raspberry with pepper on the back end.